Plné těsnění předního skla Cal look. V 70 letech začli vyrábět v Californii těsnění oken pod názvem Cal look, která jsou 100% hladká bez výlisku a relativně spadají do levnější kategorie. Seal for windscreen Cal look. The name Cal-look out for is the craze in the years70 in California has arisen. The main ingredient was as tight as possible to the exterior finish, with everything that is disruptive could have been eliminated or removed completely. The engine and the interior had it to weather all over the top with lots of chrome and shine . these cal-look window seals are therefore fully understood in this trend, no possibility for moldings and even a profile form which was originally used as such without moldings factory unrolled either 100% smooth. These rubbers are not like the original but preformed mounting again be easier, qualitatively they are against it a bit less and you can back ends in much lower price. 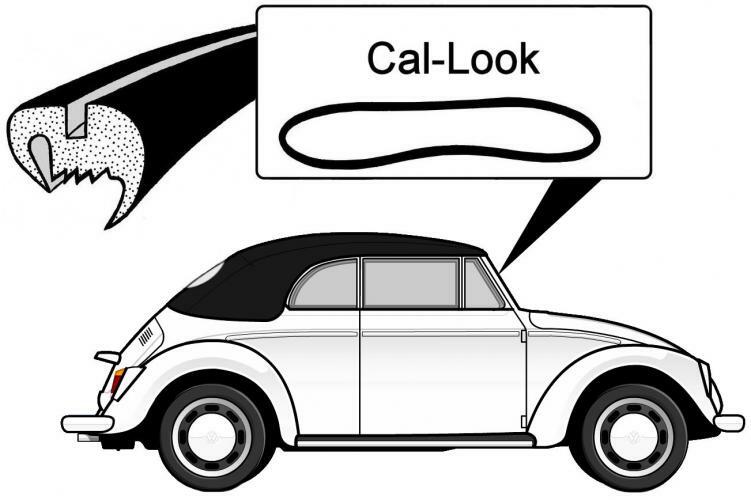 Want a Cal-look windscreen rubber but of a higher quality dial than the standard model in terms of window seals which have much in common with the Cal-look designs.